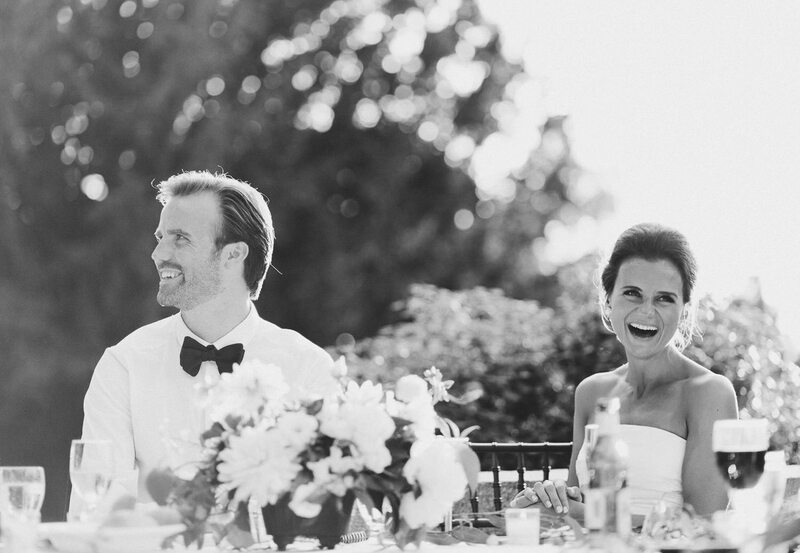 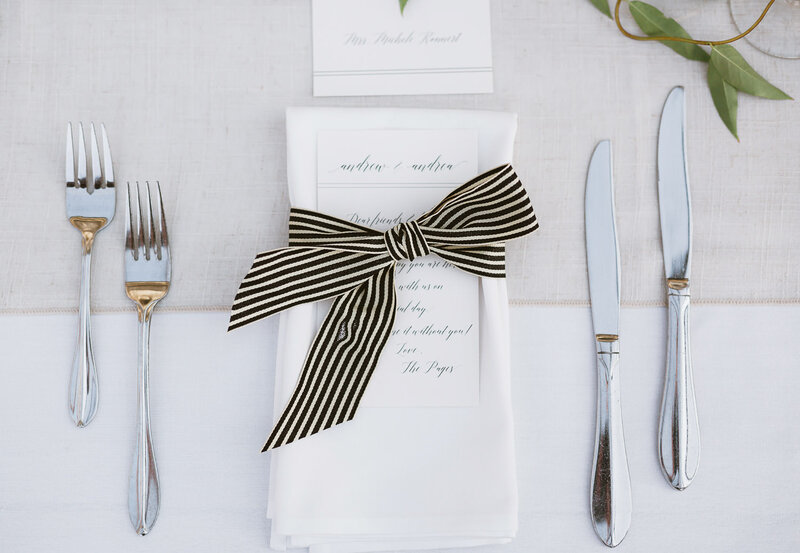 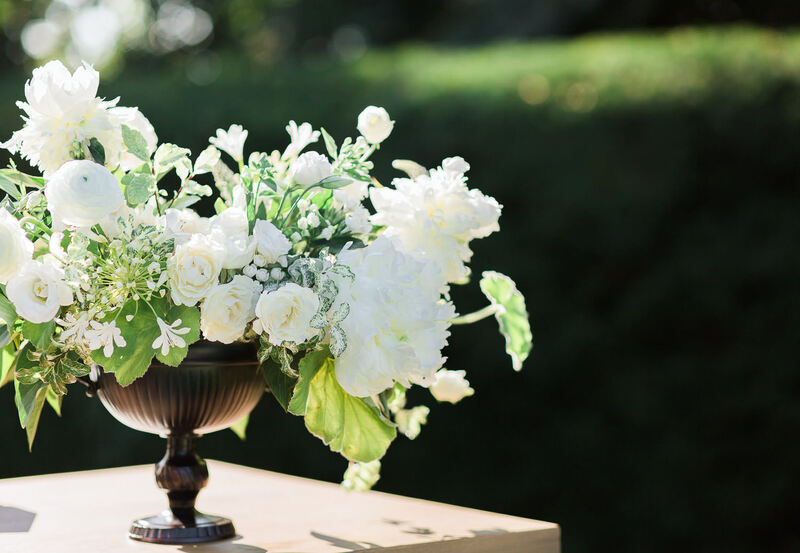 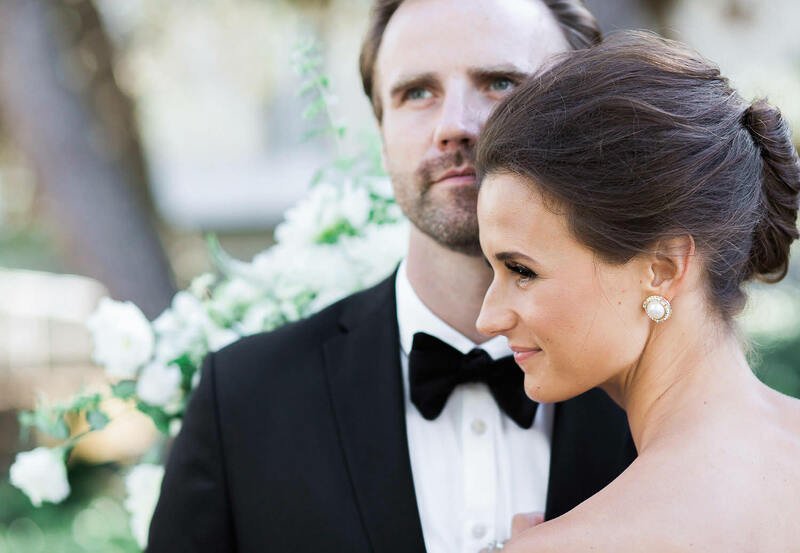 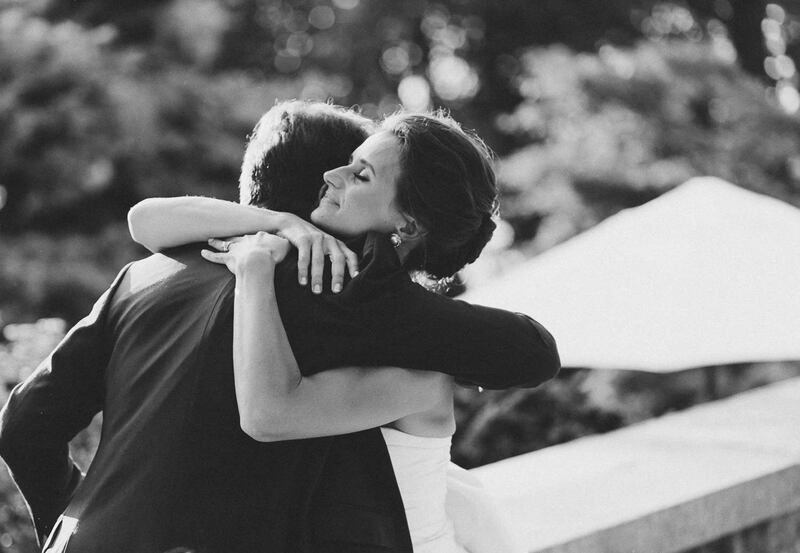 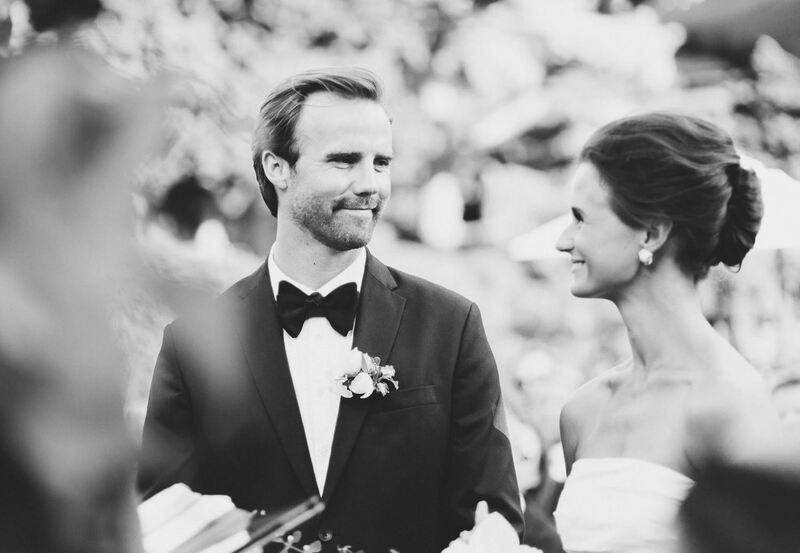 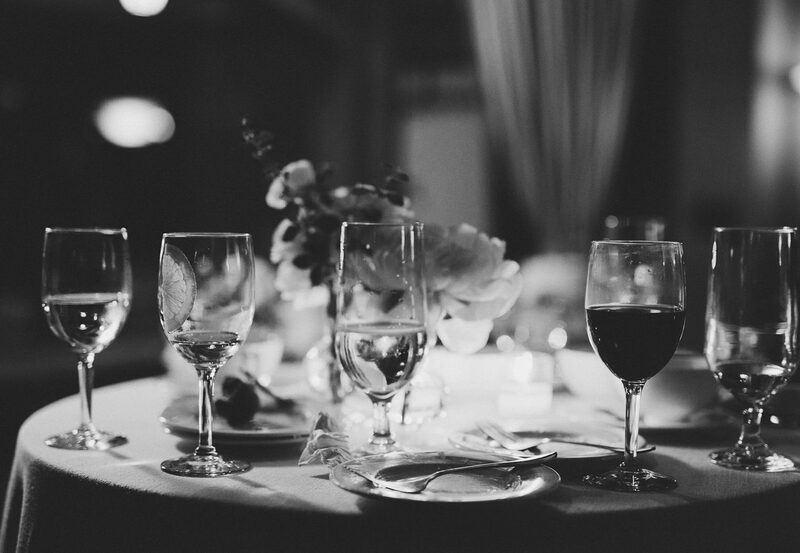 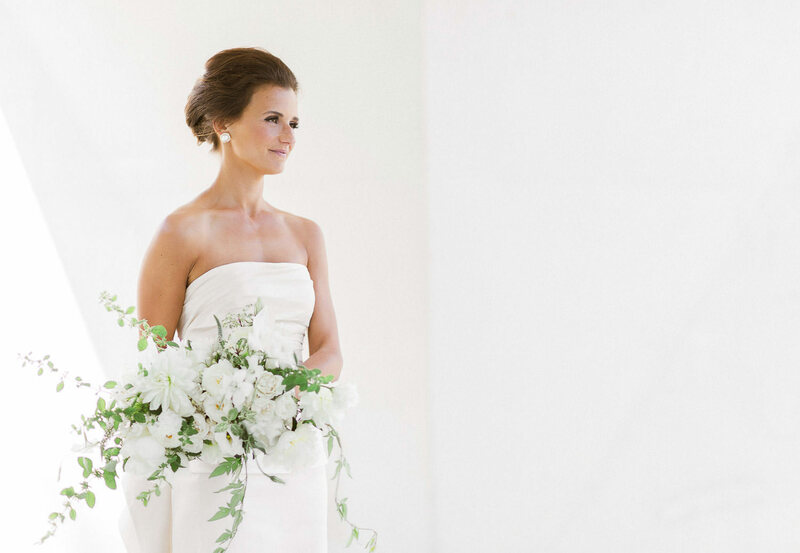 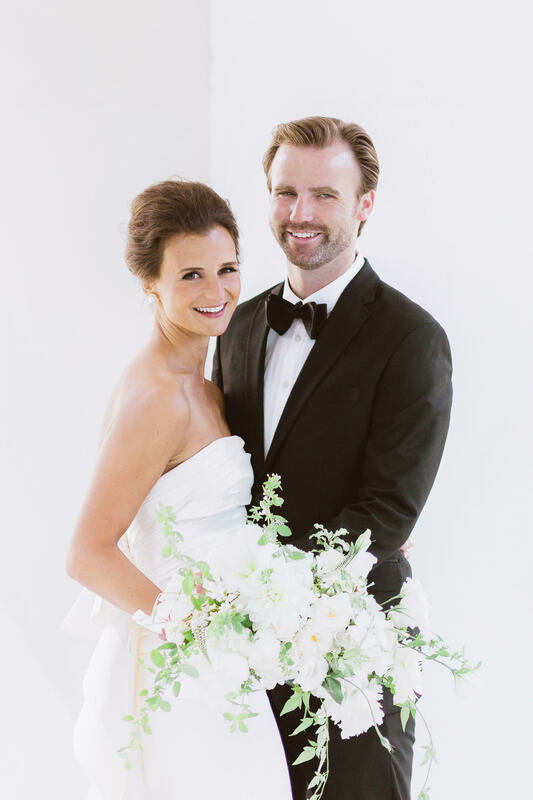 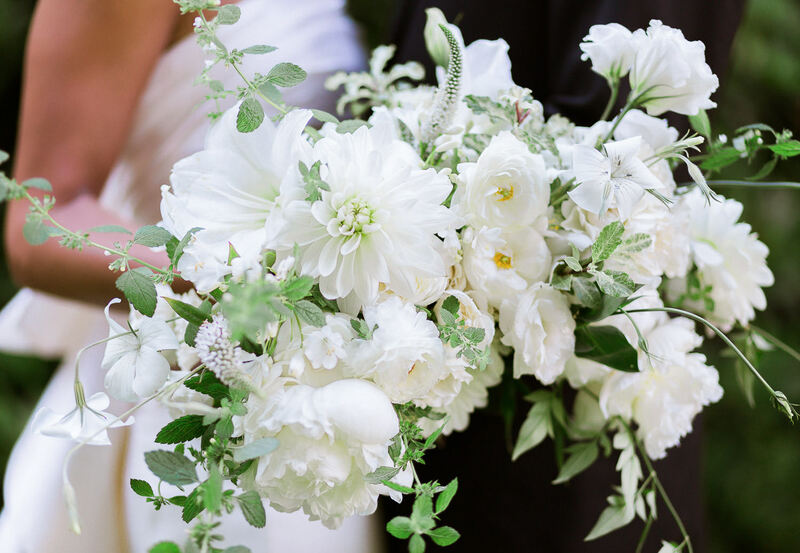 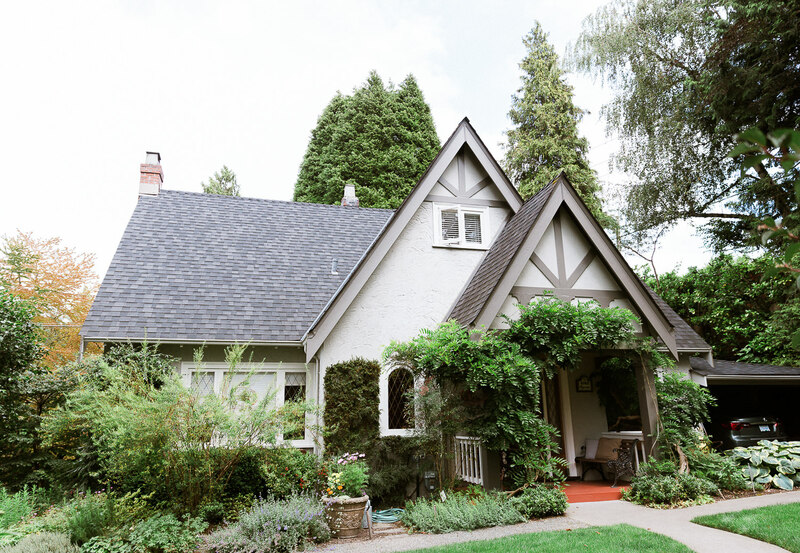 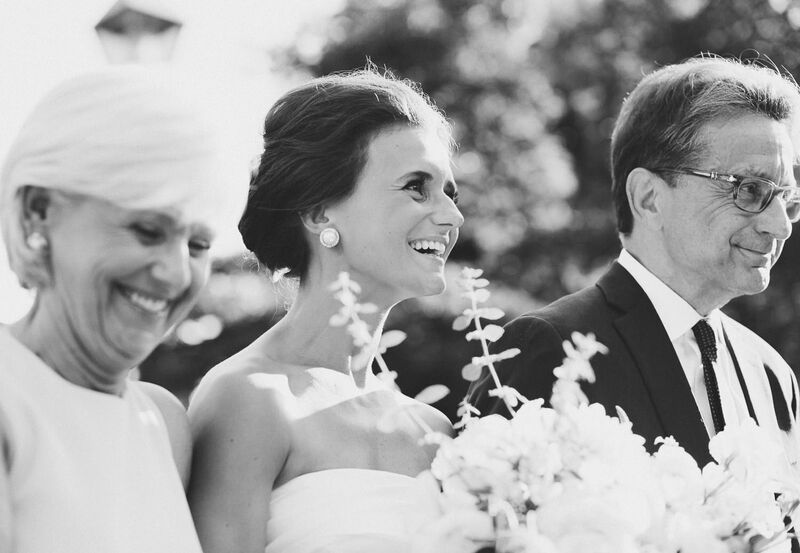 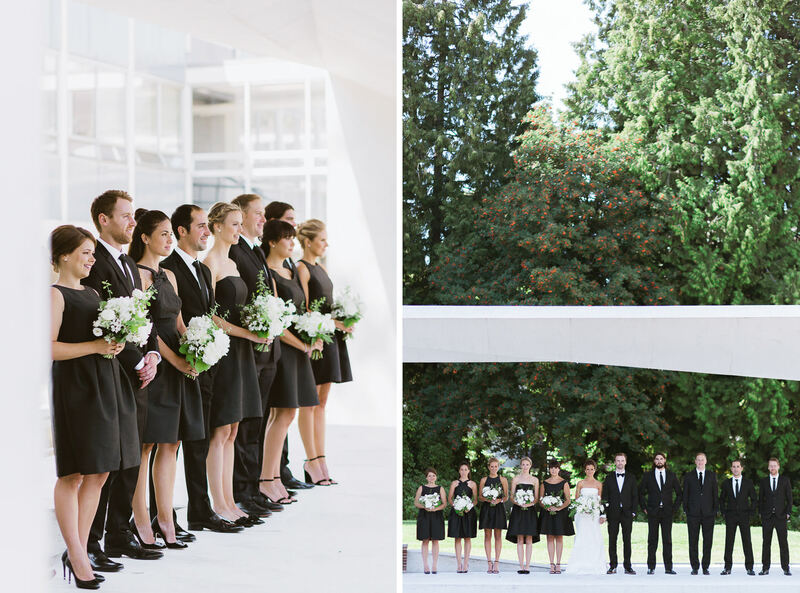 A charming elegant wedding with the perfect hint of west-coast style. 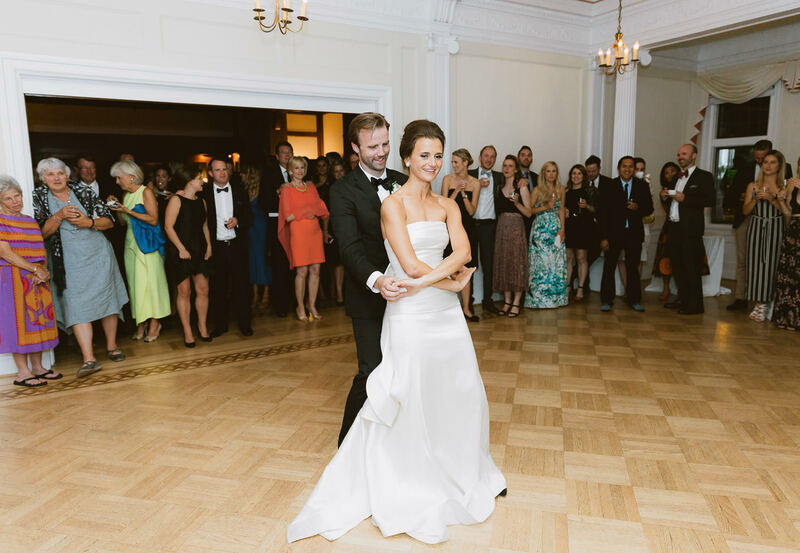 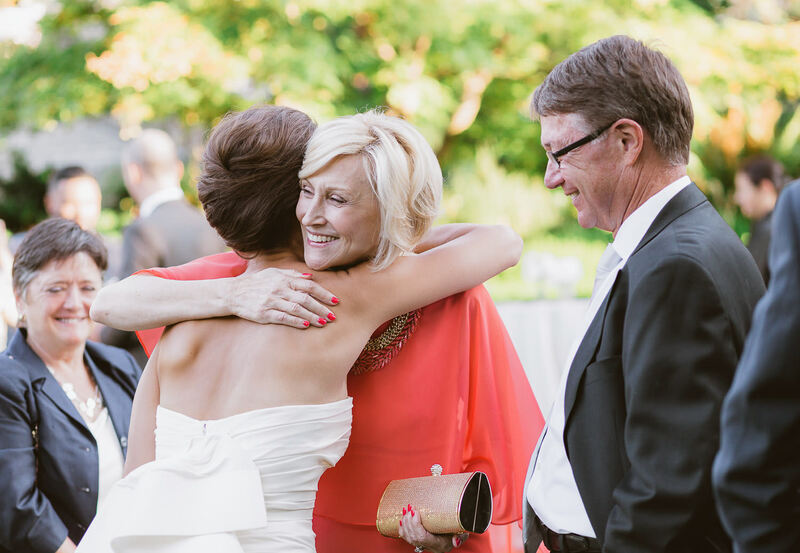 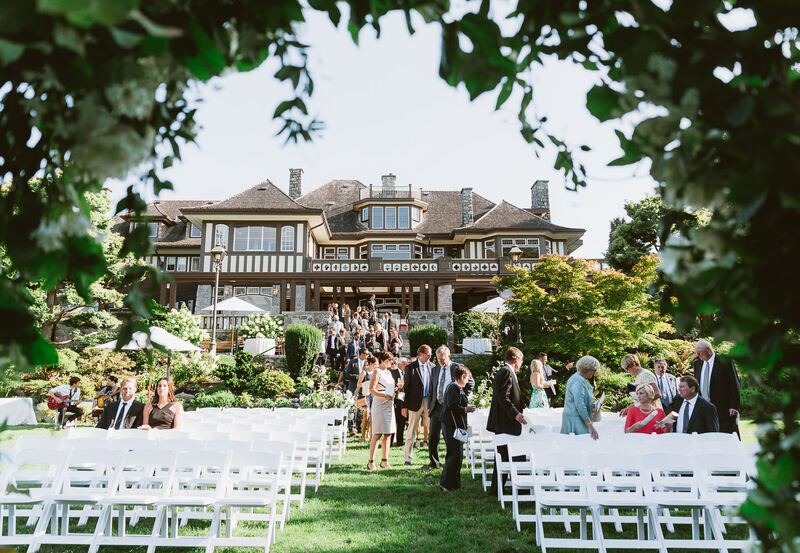 This Vancouver wedding at Cecil Green Park house is one that will easily stand the test of time. 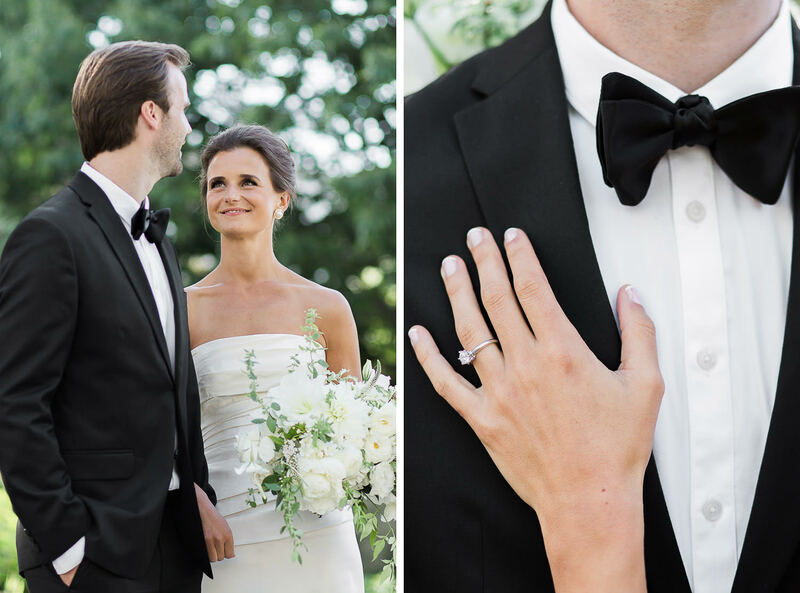 Andrea & Andrew opted for a simple and timeless black and white color palette, to coordinate all the stunning details and outfits of the day. 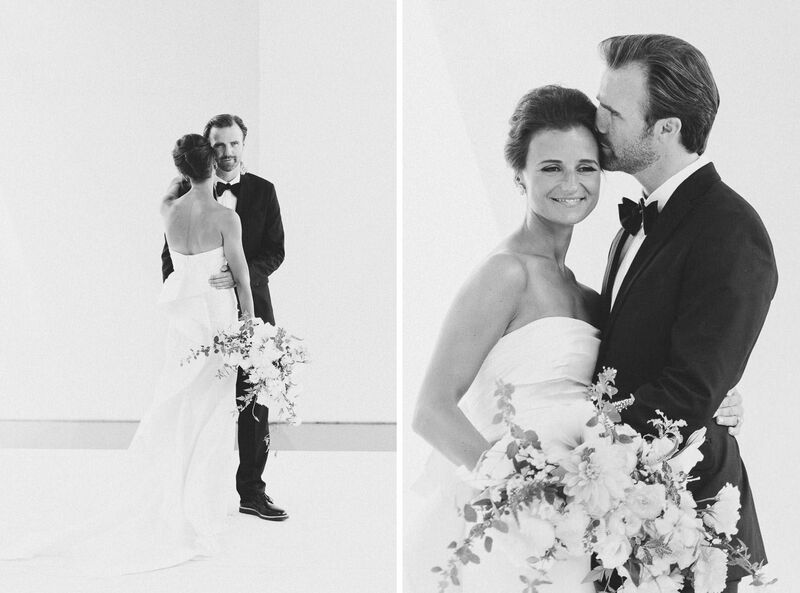 Spread Love Events helped make their vision come to life and I really love how everything turned out! 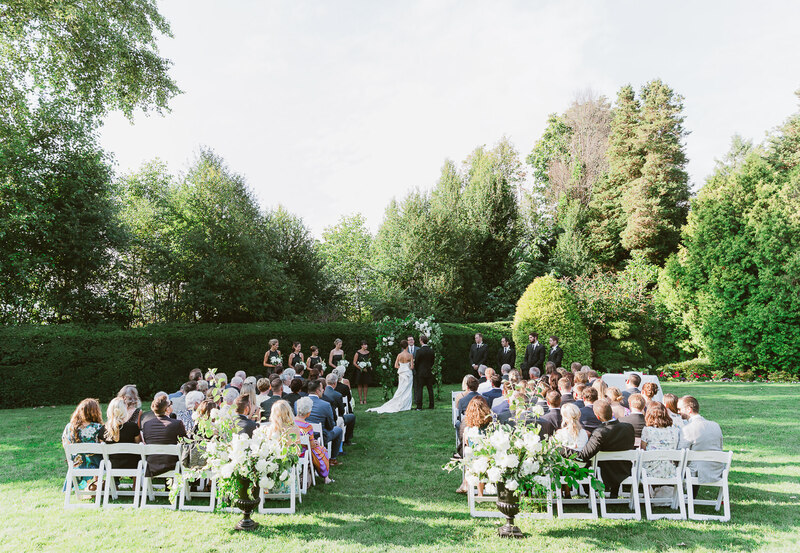 The ceremony was held on the mansion lawn set up with gorgeous loose and organic-inspired florals arrangements made by the talented Celsia Florist’s team. 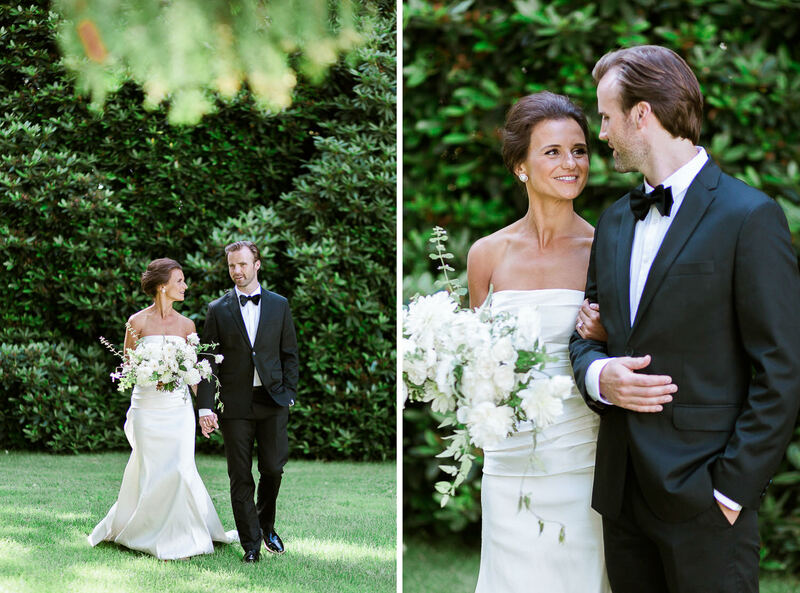 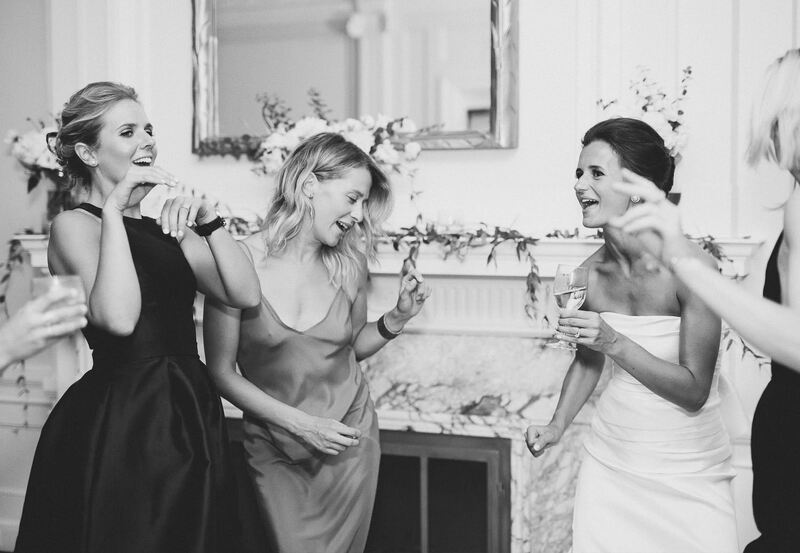 Andrea was a vision in her Oscar de la Renta gown as were her bridesmaids with mismatched black dresses! 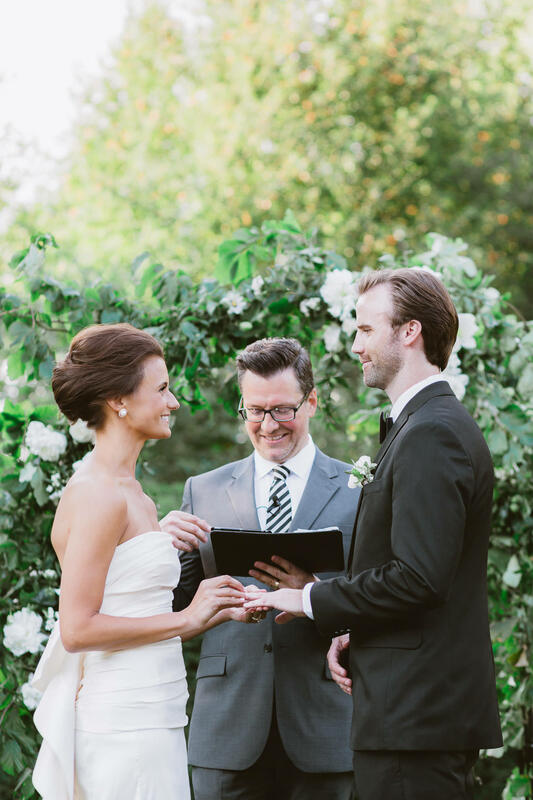 Andrew was absolutely breathless seeing her bride during the first look and later, when she walked down the aisle… The couple exchanged vows in front of their loving families and close friends in a really sweet and emotional outdoor ceremony. 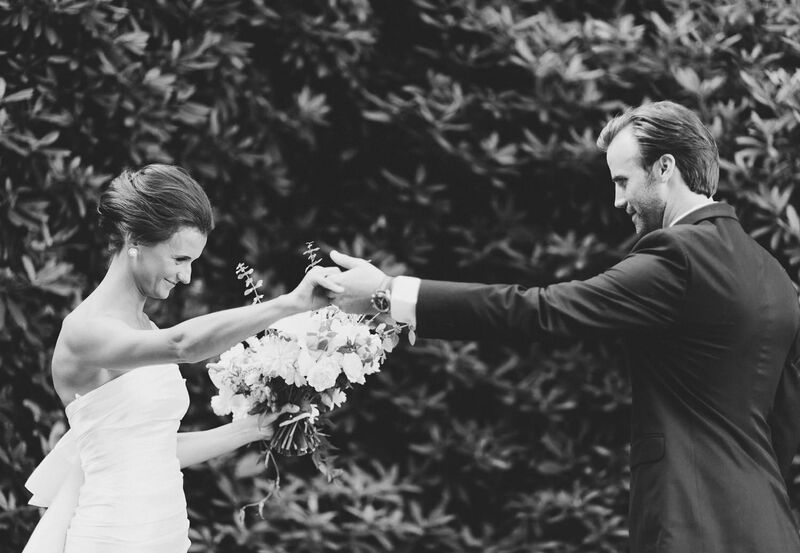 The day couldn’t have been more perfect for this two lovebirds who finally seen their dreams come to life! 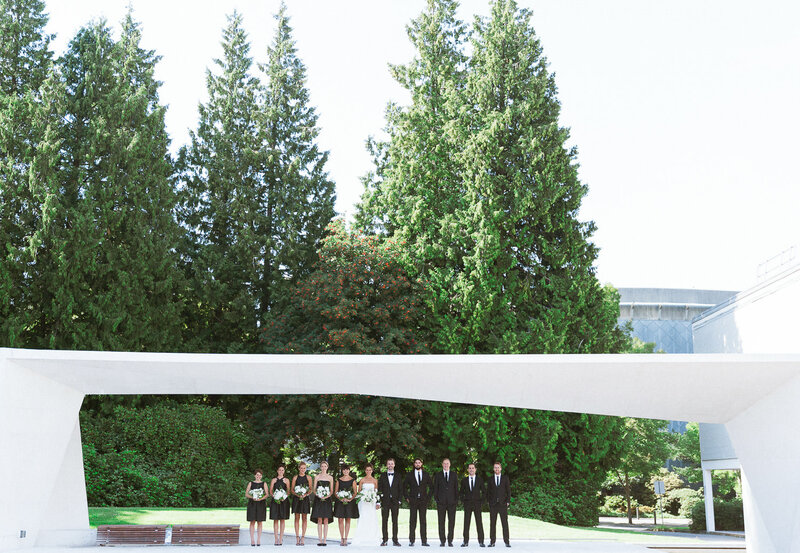 It was a real charming elegant wedding. 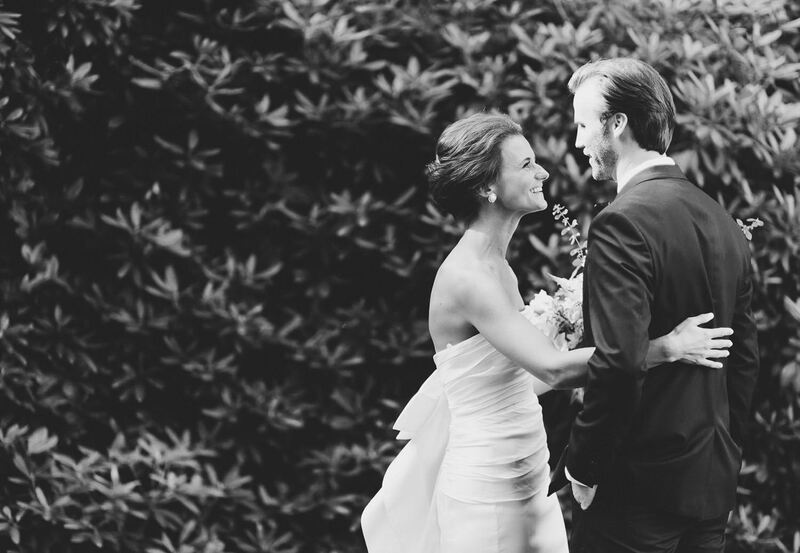 Also, I felt really blessed to work with some of the greatest vendors in town and the amazing Melissa!